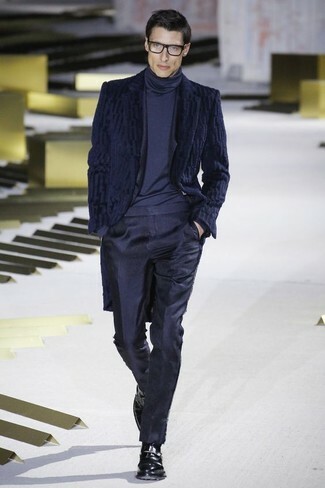 Dress in a Dell'oglio roll neck sweater and a blue check suit for a classic and refined silhouette. Add a sportier twist to your getup with black leather loafers. 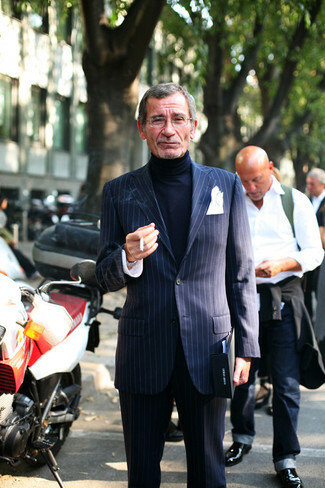 If you're on the hunt for a casual yet on-trend getup, go for a Dell'oglio navy turtleneck and grey sweatpants. These two items are super comfy and they also look amazing together. 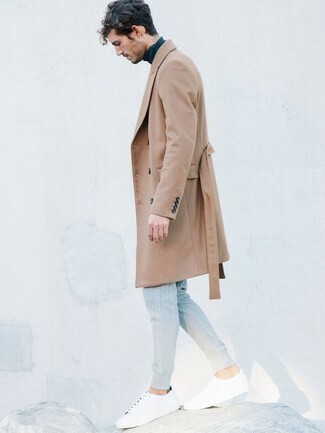 When it comes to shoes, this getup is complemented wonderfully with white low top sneakers. 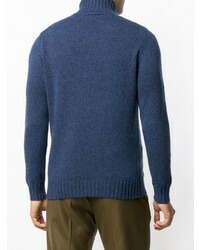 If you're on the hunt for a casual yet stylish ensemble, pair a navy turtleneck with charcoal shorts. Both items are very comfy and they also look great paired together. Grey leather low top sneakers work spectacularly well here. 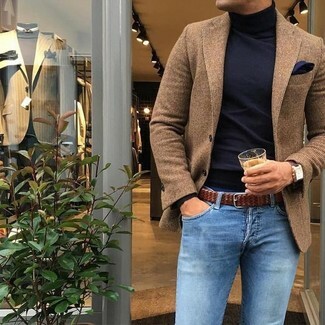 If you're looking for a casual yet sharp getup, make a navy turtleneck and light blue skinny jeans your outfit choice. These two pieces are super comfy and will look stunning when worn together. 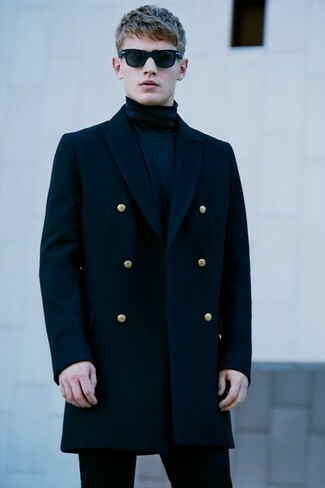 For a smart casual getup, marry a navy turtleneck with a navy fur coat — these two items fit perfectly well together. Black leather monks will add elegance to an otherwise simple getup. 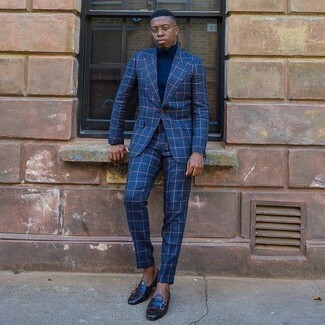 Try teaming a navy turtleneck with a black vertical striped suit for a sharp classy look. Up the ante of your ensemble with black leather oxford shoes. 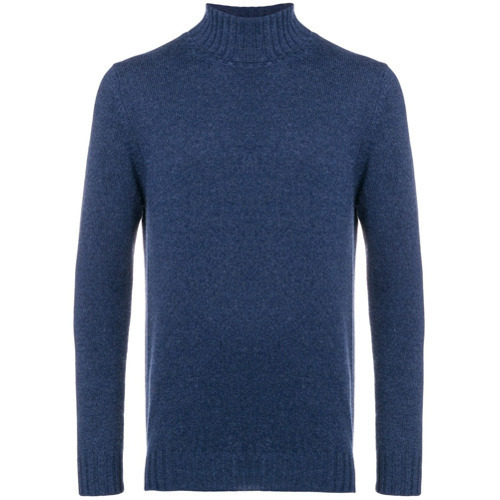 This casual combination of a Dell'oglio Roll Neck Sweater and black chinos comes in handy when you need to look nice in a flash. 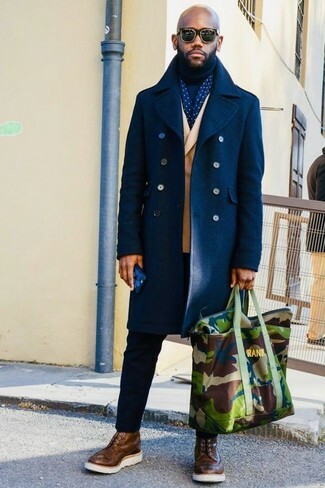 Add a pair of brown leather brogue boots to your outfit for an instant style injection. 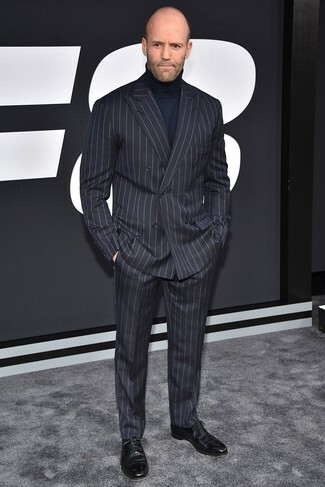 This combination of a navy turtleneck and navy and white vertical striped dress pants is very easy to throw together in next to no time, helping you look seriously stylish and ready for anything without spending too much time going through your wardrobe. 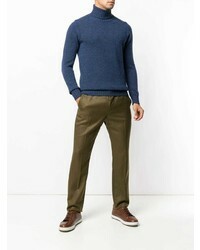 If you're in search of a casual yet on-trend look, consider pairing a navy turtleneck with black chinos. As well as very comfy, both of these pieces look great paired together.